If you are a member of In the Know, please know that we respect your privacy and will not share your contact information with anyone. Your comments on some Resources and other public sections of the community are visible to the public, but your comments in the Forums section are only visible to other community members. THIS IS YOUR NEIGHBORHOOD. The purpose of this member-driven community is to help you access useful information, exchange new ideas, and better collaborate with others in Oklahoma who can help you make your community a healthier place. We need your feedback on this site and what else you’d like to see. You may contact the Community Managers or post your ideas and suggestions on the Forums, and we will do our best to accommodate your suggestions. BE NEIGHBORLY. Treat other members with courtesy and respect. No profanity, explicit content, vulgar or otherwise hurtful or discriminatory language when posting comments or sending messages to members. NO SOLICITORS. Do not post content or send messages to members with the intent to sell products or services. No SPAM please! NO TRESPASSING. The members-only area of the In the Know community is designed specifically for key staff of organizations that receive grant funding from the Oklahoma Tobacco Settlement Endowment Trust (TSET), Oklahoma State Department of Health, Center for the Advancement of Wellness (Center) and the Turning Point Initiative, and Oklahoma Department of Mental Health and Substance Abuse Services (ODMHSAS). We want this to be a members-only safe space, so please do not share your login information with anyone. NEIGHBORHOOD WATCH. If you notice someone posting inappropriate content or sending spammy messages, please notify the Community Managers immediately by using the contact form. We reserve the right to remove inappropriate content without the user’s consent. The Community Managers also reserve the right to remove users from the community who severely or repeatedly break the rules. So please, play by the rules and do your part to make this community a fun, safe, helpful place! 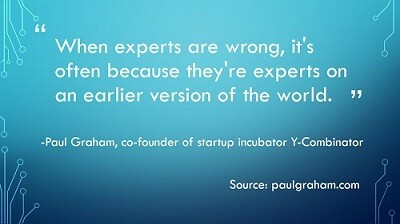 EVERYONE’S AN EXPERT. (really!) You are the expert on what is working for your organization and your community, so we encourage you to share your ideas and experiences with other community members. Our ideas and small victories combined can spark inspiration and create positive momentum for others throughout the state. You can always find these community rules by clicking RULES at the bottom of any page. In the Know was developed with funding and oversight from a network of community, philanthropic and government partners including the Oklahoma Tobacco Settlement Endowment Trust (TSET), Oklahoma State Department of Health, Center for the Advancement of Wellness (Center) and the Turning Point Initiative, and Oklahoma Department of Mental Health & Substance Abuse Services (ODMHSAS). The contents do not necessarily reflect the views of the funders.